No matter which type of Keurig coffee maker you use, scale (mineral deposits) may build up inside the machine over time, hindering its performance. 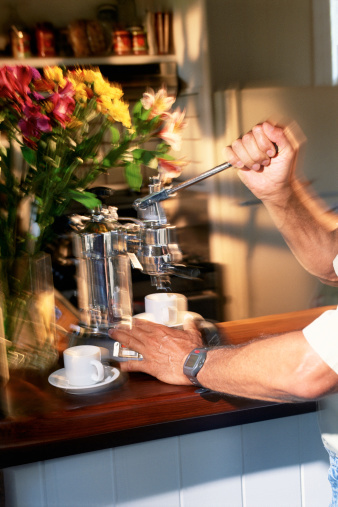 The same is true for virtually any type of coffee maker used with tap water, as tap water contains minerals. To help remove that buildup, also known as calcium scale or lime scale, Keurig sells a citric-acid-based cleaning solution designed specifically for this purpose. Removing the scale is simply a matter of running the fluid through the machine in a method slightly different than brewing coffee. Don't forget to rinse the unit out afterward. Before descaling your Keurig, empty the water tank and remove any coffee pods from the device. Turn the Keurig off and wipe down all removable, washable parts to remove any dust or residue, then place them back into position on the Keurig. If your Keurig has an auto-off mode, disable it for the descaling process. This method works for any Keurig pod-based coffee maker other than those with "Mini" in their name. Descale every four to six months for a Keurig that is used regularly. If your region has hard water, you may need to descale the device more often. Fill the empty solution bottle with tap water, or better yet, distilled water. Pour the water into the reservoir, then turn the device back on. Set a large mug into position as if brewing a cup of coffee. Lift, then lower the handle into position without inserting a pod into the Keurig. Select a 10-ounce brew size and press "Brew." Once the unit completes the brew, dump the hot liquid down the sink. Run another 10-ounce brew and repeat the above process, doing so until the device indicates it needs more water. Allow the Keurig to sit, turned on, for 30 minutes or so. Remove any remaining solution from the water reservoir. Discard it or save it for descaling a smaller device. The Keurig still needs to be rinsed thoroughly before it can be used for beverages. Fill the water reservoir with clean water, place a large mug in brewing position, then brew a ten-ounce cup. Repeat the process at least eight more times, refilling the reservoir when necessary. The descaling instructions are slightly different for any of the mini models and the B/K130, largely due to the smaller water reservoirs. For any of these smaller devices, turn the unit on, then pour 1/3 the bottle of Keurig Descaling Solution into the empty water reservoir. Add water to either the 10-ounce line, if your device has it, or to the "fill" line. Place a large mug on the mug tray, then lower the Keurig handle and press "brew" without using a pod. Pour the hot brewed liquid into the sink. 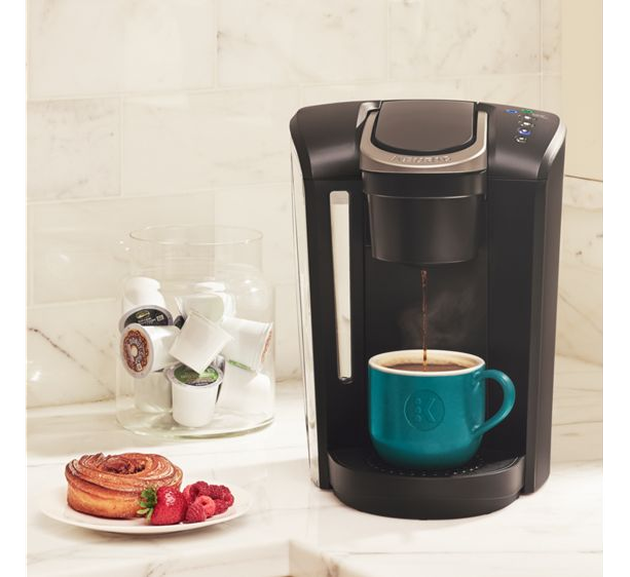 Press "brew" again, turning the Keurig off as soon as it sounds like it's brewing. After the solution sits for 30 minutes, turn the device back on, then lift and lower the handle and press "brew" to get the liquid flowing again. Empty the mug's hot liquid into the sink. Discard any solution remaining in the Keurig water chamber. Fill the chamber with clean water, then run several brews, or enough to make 20 ounces, of hot liquid. Do not use a pod during this process. White vinegar can be used to descale a Keurig machine. While Keurig recommends using only its descaling solution to remove mineral deposits, regular distilled white vinegar also works. A bargain brand is ideal for this purpose. 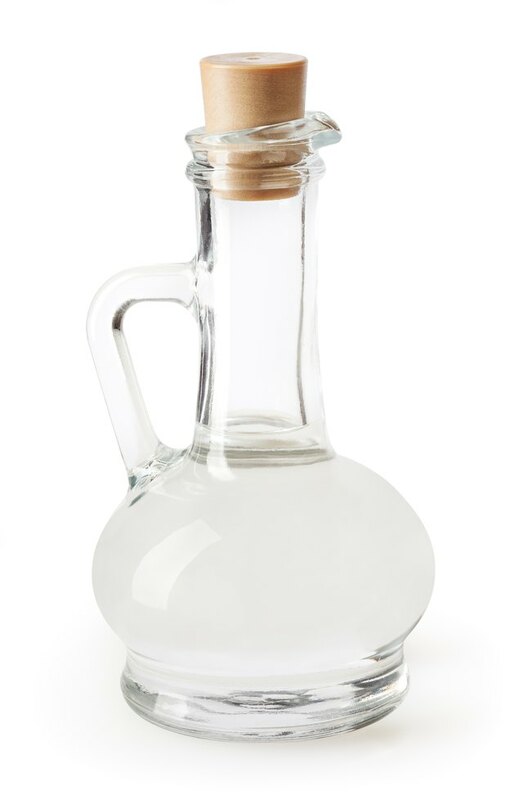 To use vinegar instead of the descaling solution, fill the empty water reservoir with white vinegar, then run the largest brew size, with a large mug in place to catch the hot liquid. As with any descaling method, do not use pods during this process. Dump the hot vinegar down the drain, then run additional brew cycles to use up any remaining vinegar. Afterward, brew several cycles of filtered water through the device without using any pods. The descaling also helps remove white chalky residue from the inside of the water reservoir.